Journalists should ask tough questions to reveal the truth and not be guided by short-term results, said US President Barack Obama. \"You\'re under significant financial pressures, as well. So I believe the electorate would be better served if your networks and producers give you the room, the capacity to follow your best instincts and dig deeper into the things that might not always be flashy, but need attention,\" the US president said. 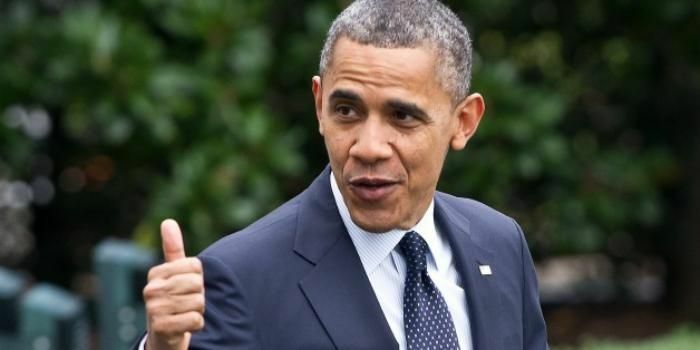 Journalists should ask tough questions to bring out the truth and not be guided by short-term results, US President Barack Obama has said as he sought accountability from the media. Speaking at a journalism awards event yesterday, Obama said media houses have an obligation to maintain certain standards and should refrain from dumbing down the news. "Part of the independence of the Fourth Estate is that it is not government-controlled, and media companies thereby have an obligation to pursue profits on behalf of their shareholders, owners, and also an obligation to invest a good chunk of that profit back into news and back into public affairs, and to maintain certain standards and to not dumb down the news, and to have higher aspirations for what effective news can do," Obama, 54, said last night. "Because a well-informed electorate depends on you. Our democracy depends on a well-informed electorate. So the choice between what cuts into your bottom lines and what harms us as a society is an important one. We have to choose which price is higher to pay; which cost is harder to bear," he said. Aware that good reporters too frequently find themselves caught between competing forces, Obama said the American democracy "needs" them more than ever. "You're under significant financial pressures, as well. So I believe the electorate would be better served if your networks and your producers would give you the room, the capacity to follow your best instincts and dig deeper into the things that might not always be flashy, but need attention," Obama said. "I think the electorate would be better served if we spent less time focused on the he said/she said back-and-forth of our politics. Because while fairness is the hallmark of good journalism, false equivalency all too often these days can be a fatal flaw," he said. "If I say that the world is round and someone else says it's flat, that's worth reporting, but you might also want to report on a bunch of scientific evidence that seems to support the notion that the world is round. That shouldn't be buried in paragraph five or six of the article," Obama said amidst applause from the audience. A job well done is about more than just handing someone a microphone, he said, adding that it is to probe and to question, and to dig deeper, to demand more. "The electorate would be better served if that happened. It would be better served if billions of dollars in free media came with serious accountability, especially when politicians issue unworkable plans or make promises they can't keep," Obama said. "There are reporters here who know they can't keep them. I know that's a shocking concept that politicians would do that. But without a press that asks tough questions, voters take them at their word. When people put their faith in someone who can't possibly deliver on his or her promises, that only breeds more cynicism," he said.